Can drinking tea really help you lose weight? You’ve probably seen all the ads touting diets, weight-loss supplements, and more, including a bevy of tea-laced products. Maybe you’re thinking that tea might be a simple and tasty addition to your diet plan. 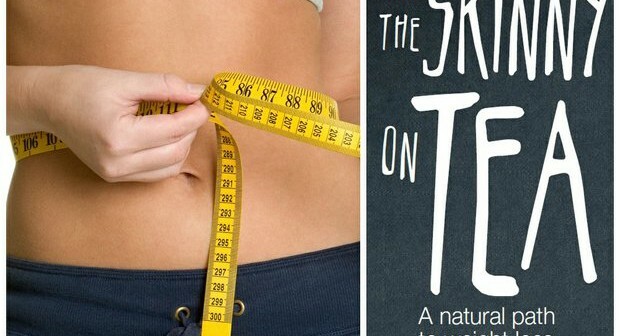 But can tea really help us slim down, or is it just clever marketing? After all, tea has been credited with boosting metabolism and curbing appetite at almost-miraculous levels. Instead of believing the hype, let’s look at the science behind some of these claims and examine whether tea can serve as a healthy, slimming addition to your diet and fitness regimen. Losing weight seems to be foremost on many minds today. Most of the time, it’s that extra 10 pounds that we all want to lose—and can’t seem to get rid of. However, weight loss is also a major worry today worldwide, as obesity has become a major health concern in developed countries around the world, from European nations to the United States and Japan. Whether we want to lose those extra few pounds or stave off obesity, finding ways to optimize our metabolism and start eating—and living—better every day is extremely important to our wellbeing. We know that when we take in too many calories and don’t expend enough energy, our basal metabolic rate (BMR) is reduced. This simple equation contributes to weight gain: excessive body fat. If this cycle goes unchecked, it can lead to extreme body weight and obesity. Obesity can completely change your life, since it’s a trigger for many chronic diseases such as high cholesterol, elevated blood pressure, and diabetes. Obesity can also increase the risk of coronary heart disease. Being overweight not only affects your quality of life, but it can also shorten your lifespan. Drinking tea can be an important tool in weight management. Several teas, including black, green, oolong, and pu-erh have been researched extensively, and these studies support their use as aids in weight loss and maintenance. 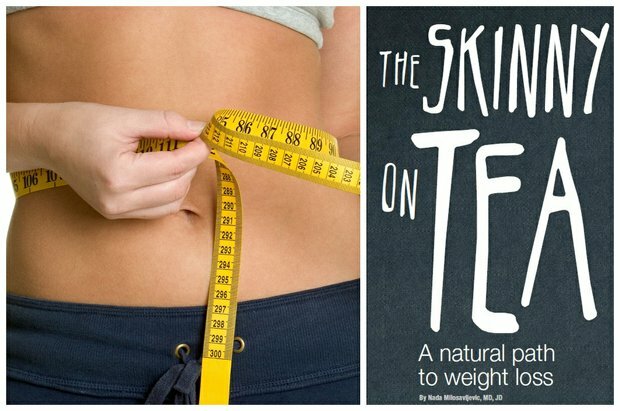 The current scientific evidence regarding tea and natural weight loss is impressive. In the October 2013 American Journal of Clinical Nutrition, researchers reported that catechin- and caffeine-rich teas (CCRTs) might be useful in helping prevent obesity. The authors stated that maintaining the level of daily energy expenditure during weight loss and weight maintenance is as important as maintaining satiety while decreasing energy intake—that is, we need to be active, in addition to curbing our hunger pangs and cutting back on snacks. Green, oolong, and white teas, as well as caffeine itself, are good tools for keeping up your energy while dieting, and may also help break down fat. Additionally, the authors proposed that tea polyphenols counteract the decrease in metabolism that is usually present during weight reduction. These effects may be important for weight maintenance following a diet plan. Another study that supports using a type of tea antioxidant, polyphenols, to promote weight loss appears in the December 2013 edition of the American Journal of Clinical Nutrition. Tea polyphenols and the caffeine content in tea increase energy expenditure and fat metabolism, helping us achieve and maintain an ideal body weight. This report suggests that the increase in caloric expenditure is equal to about 100 calories over a 24-hour period—a clear case of “drink tea, drop calories!” In another review, researchers reported that subjects consuming green tea and caffeine lost an average of 2.9 pounds within 12 weeks without changing their eating habits. Other studies have also shown that people who drink tea on a regular basis have lower Body Mass Indexes (BMIs), waist-to-hip ratios, and less body fat than non-tea drinkers—all of which are linked to better health. The majority of research evaluating tea as an aid for weight loss has focused on green tea, and that’s what we hear about most when talking about diet boosters. In fact, there are a number of studies that highlight other types of tea as well. Research suggests that black tea may match green tea in terms of weight control. In 2010, Japanese scientists conducted a study that supplemented high-fat diets in mice with black tea polyphenols. They found this suppressed increases in body weight, adipose (fat) tissue mass, and liver lipid content. While more studies continue to evaluate tea’s good effects, the results so far are promising—black tea can also promote and support weight loss. Green tea remains rich in catechins because it is not fermented like black tea; in Chinese medicine, it’s considered an important resource in preventing cardiovascular disease and other chronic diseases. Green tea is a recent target of numerous studies and has been clinically proven to help with weight loss. Research findings show that green tea may have a specific role in decreased weight and abdominal fat brought about by reduced caloric intake; in other words, add green tea to your healthy eating plan, and watch the pounds drop off. This result is attributed to a decrease in appetite and increased satiety. Green tea and caffeine also appear to boost fat metabolism over 24 hours by an average of 16 percent. Researchers in a 2009 study to evaluate the anti-obesity effects of oolong tea on diet-induced excess weight reported that oolong decreases body fat content and reduces body weight by improving lipid metabolism—oolong drinkers process fat better, and can therefore lose weight more easily. This study concluded that habitual consumption of oolong tea may prevent against obesity and many diseases related to obesity. In addition, the authors reported that during this study, drinking oolong tea didn’t suppress appetite or reduce a person’s physical fitness. Attention has recently focused on pu-erh tea because of its useful effects in weight management. The history of pu-erh tea can be traced back over a thousand years to the Yunnan Province in southwest China. Pu-erh has a long and storied history that dates to the Song Dynasty (960-1279 CE) and the Tea Horse Road, an ancient corridor connecting present day Tibet to Yunnan and Sichuan, China. This aged tea, in addition to being tasty, has traditionally been used in Chinese medicine for its known anti-obesity effects. Current research on humans, rodents, and cell lines have each confirmed that pu-erh tea helps with weight loss and can also lower levels of blood lipids. Whether tea is a substitute for high-calorie drinks, a key influencer of body metabolism, or simply a tasty beverage, studies are proving that it’s a smart addition to your weight-loss plans. Drinking tea is not a replacement for the proven methods of losing weight and keeping it off, such as exercise, getting enough sleep, and eating a balanced diet, but adding tea to all of that can help you shed pounds and keep them off. Much of the recent research on drinking tea for weight loss and weight maintenance is certainly compelling. You’re probably already drinking tea daily, but you might consider adding a few more cups now! Deciding which tea to add to your wellness routine is a personal decision. There are many types to consider, and each has a different flavor profile—and different health benefits. Try different types and find your favorites; when you discover your perfect tea, it will become a partner for a positive, healthy, and slim lifestyle. While we see many types of tea on the shelves, all true teas come from the same place: the Camellia sinensis plant. While the same plant is used to make green, oolong, black, and pu-erh teas, each is made using different processing methods. Green tea is not oxidized; oolong tea is partially oxidized, black tea is fully oxidized, and pu-erh tea is oxidized, fermented, and then undergoes a long aging process. All of this changes the level of different chemicals contained in the tea, and that affects its health properties—and taste! If it doesn’t come from the Camellia sinensis plant, it is not tea. Herbal teas, more properly called tisanes, come from a variety of plants.